Thanks Mark! 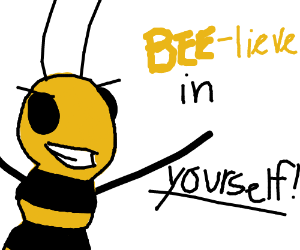 You aren't gonna believe this but I actually had a bee-lieve in yourself pun cross my mind a couple hours ago. It is very weird. Thanks again. Lovely drawing.